How is your service different from part-time pet sitters, errand services, and kid-next-door pet sitting? A. First and foremost, APS is a professional service. That means that this is all APS does for a living. Full time. APS carries insurance and bonding, has trustworthy pet sitters, and ensures that if anything happens to your personal pet sitter, your pet care will continue, uninterrupted. With many years experience in caring for pets, APS participates in continued education regarding pets and their care (Pet First Aid course offered by the American Red Cross, regularly reading about things that may present hazards to your pet, etc.) APS belongs to professional organizations in the industry (Pet Sitters International, Professional United Pet Sitters) that provide ongoing information about pet-related issues and provide APS with updated information for improving services. APS sitters truly LOVE what they do! More than a profession, pet sitting is a vocation. APS sitters are drawn to the care of animals, and as such, they are concerned, compassionate caregivers. Unlike the part-timer, the errand service, or the kid-next-door who pet sit for extra cash, APS sitters have devoted themselves to providing your pet the best possible care. APS expends a great deal of effort in furthering the quality of services, and making you and your pet happy! (Sitters send photos of your pets, give them occasional gifts, provide you with important pet care information they feel you may benefit from, and leave you online notes (with GPS location) about how much they enjoy being with your special fur-kid! Once I schedule pet sitting visits for my pet, then what? A. Normally, clients will need to go through a registration process with their sitter before booking visits. Established clients simply need to log in to fill out the service request form, which will be confirmed by your sitter through e-mail when they receive it. What if I'm disabled or need help registering online? A. We are more than happy to accommodate anyone who is physically unable to register on the website. A sitter can come to your home with a laptop if you need assistance. Please contact us to ask about this. Do you have boarding or kennel facilities? 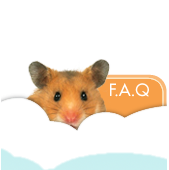 A. APS only provides in-home pet sitting, which is an alternative to boarding. 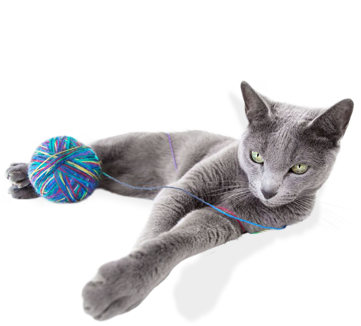 APS is committed to providing your pet with the most humane, safe, comfortable, and personal care. 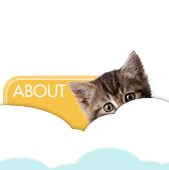 We are affiliated with Angel Cats Resort, which provides cat boarding, and we can provide you with information regarding this service. However, if you specifically require dog boarding, please contact APS anyway, and someone will be happy to refer you to a boarding facility in the area! A. Not in the traditional sense. However, APS provides an alternative to doggie daycare, which is suitable for pets that have been turned down by doggie daycare facilities. If your dog needs stimulation and activity to help prevent boredom and destructive behavior, a midday break or dog walk just might fill the bill. The purpose of a doggie daycare, in addition to socializing, is to occupy your dog with activities that will enable him to deal with monotony and excess energy. APS can fill this need with either a walk or playtime. The result is a happy but tired dog, who is likely to sleep the rest of the afternoon until your return! A. APS does not charge for the initial phone or e-mail consultation, as it is a vital part of providing personalized service. You will need to provide your home address and answer specific questions, in order for APS to match you up with a pet sitter. This will allow APS to ascertain that a sitter can provide you with the best possible service, and to calculate your rate. During the consultation, you will provide information about your particular situation, how many pets you have, what types of pets, whether they are indoor, outdoor, or both. You will need to provide information about your yard: is it fenced? If so, what type of fence do you have? You'll be asked whether your pet(s) is/are on medication, and what type. There are quite a few things that APS must know before scheduling your Meet & Greet. Do you charge for the Meet & Greet? A. Yes. Prior to your Meet & Greet, the sitter will have you register on our website and complete a contract and other forms, and submit your payment. What types of animals do you pet sit? Must my pet(s) have current vaccinations? A. Your pet(s) should be current on all of their vaccinations with the exception of the vaccination for Bordetella (Bordetella Bronchiseptica--common name, Kennel Cough). The Bordetella vaccination is only required if you are boarding your pet(s) in a kennel. Will you keep my house keys? A. No. Unlike our competitors, APS does not keep client keys. Lock boxes are used to secure keys at the client's home, to give the sitter temporary access. The lock boxes provided are simple to use. They have a combination code which gives access to the keys in the box. The code can be changed, if necessary. There is a one-time, refundable deposit for the lock box. What if you should lock the house key inside my house? Will you be able to re-enter the house to provide care for my pet? A. This is why you are asked to place TWO keys in the lock box. If the sitter should accidentally lock a key inside the house, there will be an extra key that can be retrieved in order to re-enter the house to provide un-interrupted care for your pet(s). How will I know if you were able to complete all of your scheduled visits with my pet? A. When your sitter visits your home, Daily Scoop Notes are left online EACH visit, which include a list of tasks performed. These notes are accessible to clients when they log in to our website, as soon as they are posted. They give the GPS location of the sitter when the note was submitted, along with the date and time. Will my pet receive personal attention? What if my pet should require the care of a veterinarian while I am away? A. APS hopes this will never happen, but there is a plan for this, just in case. 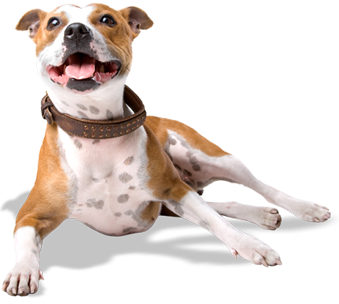 We provide clients with an online Veterinarian Release form to complete. Once the form is submitted, it is e-mailed to the client's veterinary clinic, for them to keep with client records. (Some vets have not provided us with their e-mail address. If your vet hasn't given us an e-mail address, you will need to print and complete the form, then send to your vet.) 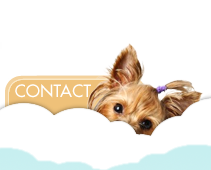 This form will provide your vet with information about your wishes and your financial arrangement, thus allowing your sitter to have your pet treated in your absence. Is your service licensed, insured, and bonded? A. APS is licensed to do business in northwest Arkansas. APS carries liability insurance and bonding for its sitters, providing protection for your pet and your personal property. I am concerned about the security of my home while I am traveling. How can your service help me to feel more secure about this? A. First and foremost, the pet sitters that provide your service are individuals APS has screened thoroughly by running background checks. APS is confident that your pet and your home are in good hands. As a deterrent for burglars, your sitter can bring in your mail and newspaper, put out your trash on trash day (and return trash cans afterwards). The sitter can open and close curtains, and alternate lights/TV/radio to give your home a "lived in" look and feel. A. 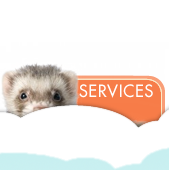 All services require payment in advance. Services are booked by submitting online service requests, which serve as the client's invoice. What if I need to cancel visits? Will I receive a refund or credit? A. Whether you receive a refund or credit depends on several things. If you are a daily, mid-day/dog walk client, and your sitter visits your pet several times on a weekly basis, year-round, APS is very flexible. Daily dog walk clients need only contact APS before 8am to cancel for that day, and will be given a credit for the cancelled visit (if if you have paid for a Patron or Daily Discount Package). APS realizes that due to illness or other emergencies, you may not have the luxury of giving very much advance notice of a cancellation. For all other clients, APS requires a minimum 8 days advance notice to cancel. You will receive a full credit, minus $25, if you cancel with 8 or more days' notice. If you cancel with less than 8 days before visits start, you will not receive a credit. Exception: during the holidays, APS does not offer credits for cancellations for any reason. This is due to the fact that the sitters are usually booked up for several weeks prior to the holidays, and once their schedules are full, APS has to turn away business. If you return early from your (non-holiday) trip, you will not receive a credit unless you have contacted APS to cancel at least 8 days prior to returning. No credits will be given for cancellations, partial cancellations or major rescheduling. At the discretion of APS, and pending sitter availability, minor reschedules (starting and ending services up to one day earlier or later) may be permitted. If you have questions about cancellation policies, please contact us. Do your caregivers perform their duties alone? A. For the most part, yes. However, on rare occasions if the location is far, the weather is bad, or an overnight stay is required, a sitter is allowed to take a family member or an assistant along. This is for the sitter's safety and peace of mind.